It looks very nice. I wonder how you will manage the space TO ground spawn-feature. I mean...there is that nasty limit that everyone dies at a certain height (And even distance from center). That's the reason why all my ships are not that high above the atmospheric surface...because when spawning at this height, I and all AI dies. Also when flying too high and too far particle and texture (ordnance) effects begin to disappear. I saw in your video that the ships were very high and far away from each other. 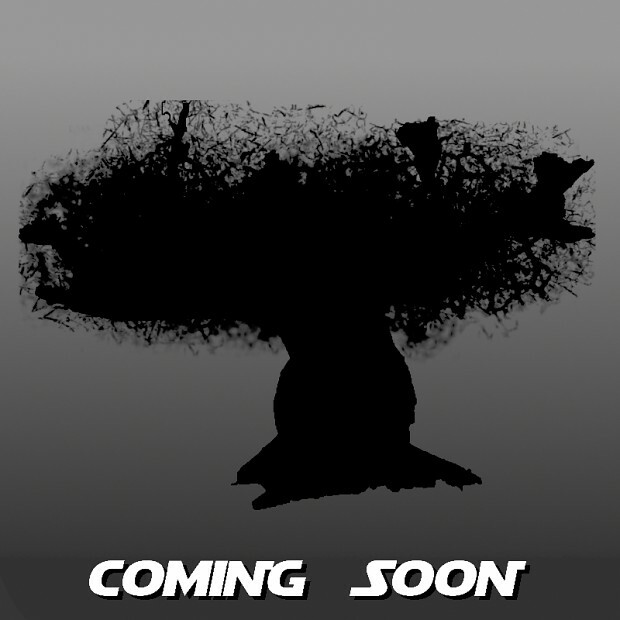 The shape of the tree from the picture is telling me what planets is this.I can't wait. OFFTOPIC:Ye the nasty heigh limit is really annoying.This is my idea for how it should work but i have a little problem making it.Let say my ship is very high in the sky/space/orbit whatever.If i go there and land or even try to spawn i will die just like you said.But what if i put infront of the hangar a teleport region so when you enter it you will be teleported to a place beneat the ground lvl of the map where you will survive and even spawn.And there in that interior hangar you can put second teleport region that will teleport you back into orbit coming outside of the "fake" hangar.What you think about that?I think this will give us some sort of freedom however here is and the problem.I tested a teleport region and they are working but only when you are on foot with your soldier.If i try enter a region with flying vehicle its not working.So if you have time since you probably know way more than me i am asking you is there a way to make a teleport work for players with flying vehicles? Hello is there going to be an update release that has the new Bespin and Dantooine maps? Have there been ANY updates? I hope this mod isn't dead cause this was THE mod I was looking forward to. LordStarkiller wrote: Have there been ANY updates? I hope this mod isn't dead cause this was THE mod I was looking forward to. They have 4 maps so far, with plans to do most if not all of them. That's a lot of work. If they had something to show us, then they'd show us. I must've been out of the loop. First it was just Courascant, then Cato Nemodia, now they're planning to do all the BF3 maps? Well that certainly explains alot. Thanks for telling me. They already have worked on Dantooine and Bespin so it's not a stretch to think they planned on going all the way. 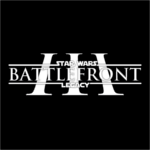 Battlefront 3 Legacy will now expand with the release of the third and hopefully last playable, public beta towards release of the full mod; which is going to include more maps, GCW content, brand new game modes and a campaign + the availability to play both new eras on all stock and additional custom maps. Bespin, Cato Neimoidia and Coruscant have been updated and now come with Hero Assault including ALL Clone Wars Hero/Villain characters. I hope you will enjoy this mod/open beta as much as I am enjoying working on it. Note: All Supremacy matches are NOT multiplayer compatible due to stability issues. We are trying to fix that. Absolutely fabulous looking. Well done! Absolutely amazing work on the third beta! Bespin's a fun map to play on. I can't wait till the full release comes out. The new heroes feel great Supremacy feels awesome, the revamped classes are cool. Why does Anakin have a different theme though? 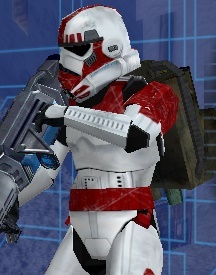 Its nice that you will use the original PC models for Coruscant from Battlefront 3 that Luke have.